Sphere terrarium. Bring the outdoors in. 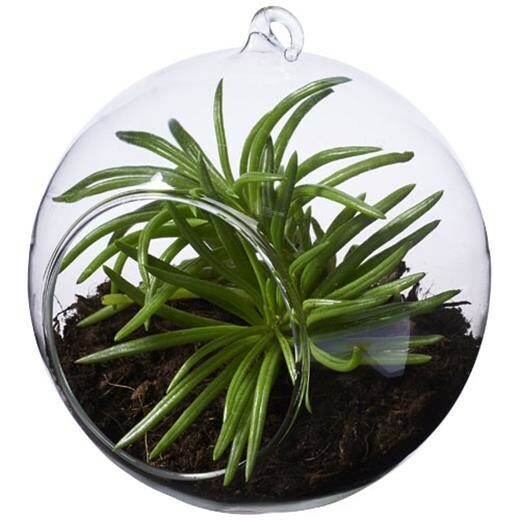 Round shaped terrarium for growing all types of small micro greens, air plants, cacti and more. Designed with a loop at the top for easy hanging. Presented in a Seasons gift box. Glass.